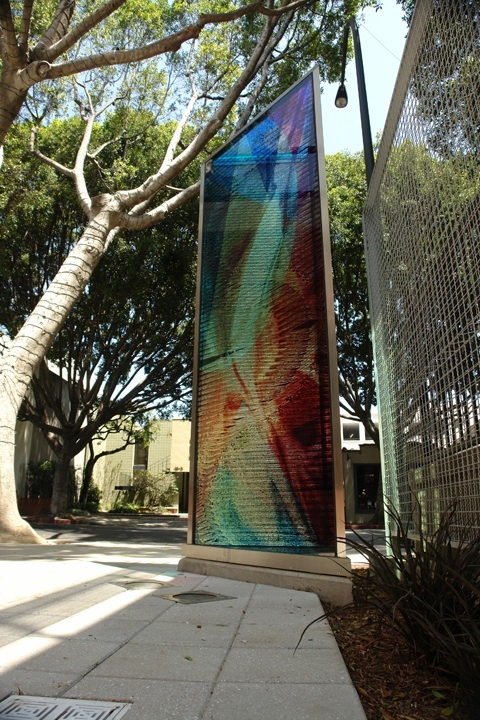 A kinetic light installation features a reflective, triangular-shaped 10’ monolith prism made of embossed glass, Dichroic glass and full-color imaged glass with integrated, color-changing art light pavers in a coordinated display throughout a 124’ Paseo for the Westgate mixed-use development. Solar Luna Reflections celebrates Pasadena’s little-known yet influential history in the creation of experimental video, filmmaking, and avant-garde contemporary art making from the 1960’s to the 1980’s. In the old downtown Fair Oaks/Colorado corridor, dozens of artists encamped in studios and lofts, creating a vibrant artists’ exchange and brain trust of the period. 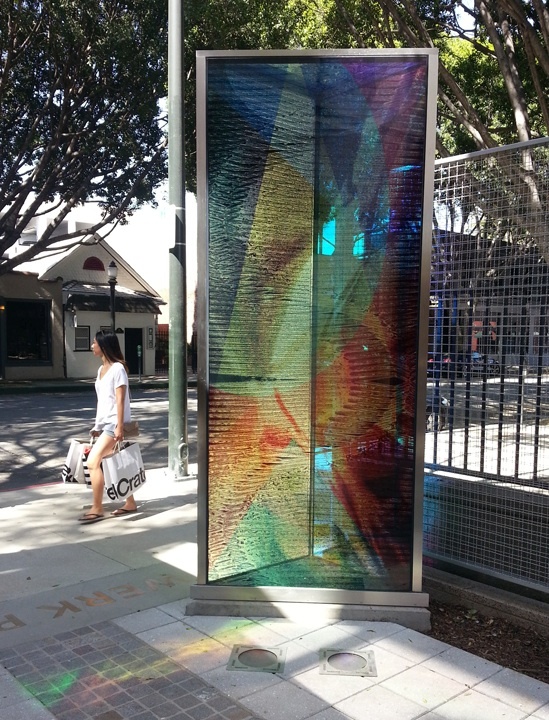 Commemorating that era, the sculpture’s three facets conceptually recreate art making, and graphic elements on the art lights refer to specific Pasadena locations, my projected artworks and critical art making venues. 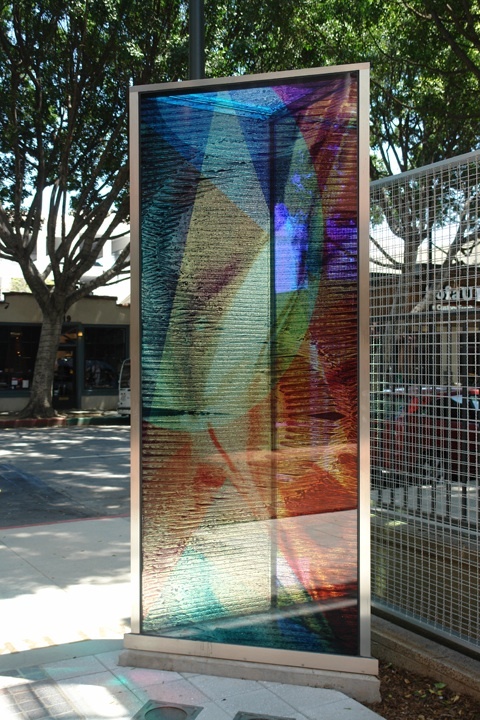 "Solar" and "Luna" refer to the sun and moon activating the piece; "Reflections" represents one’s contemplation of Pasadena’s history and the pieces’ ability to absorb and reflect the environment. 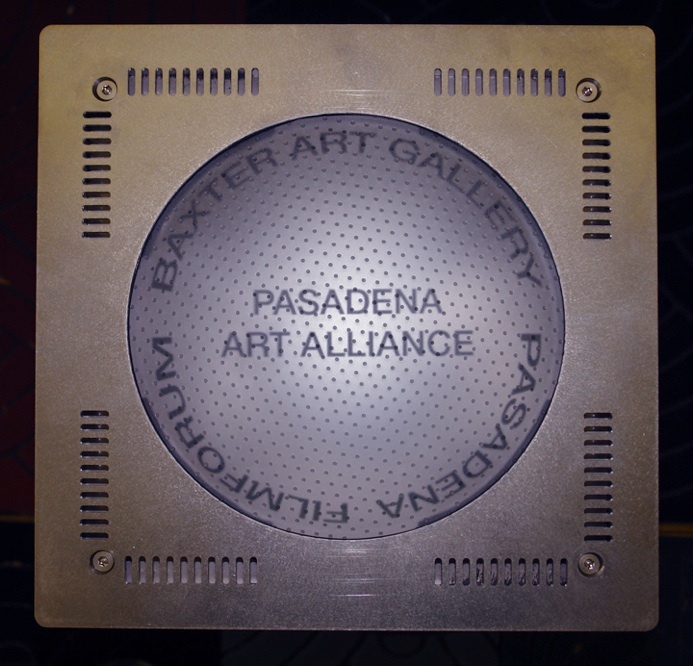 Solar Luna Reflections pays homage to that significant time and to Pasadena’s continuing influence on art making. Detail, Art Light Paver. 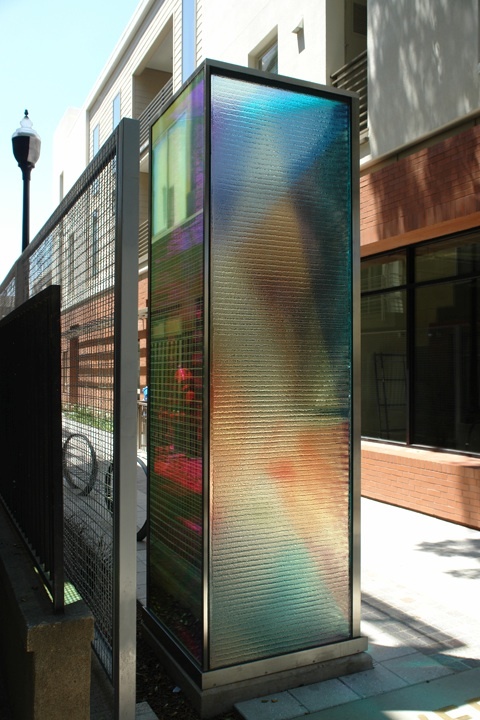 1 of 6 color-changing art light pavers embedded in the 124’ walkway surface. 4 of the pavers feature text and imagery referencing Pasadena’s history.